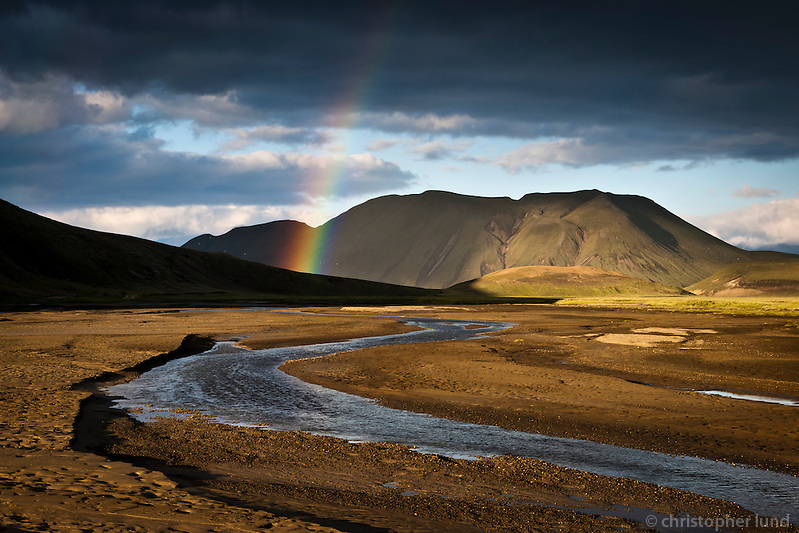 A rainbow by Lifrarfjöll mountains, at Fjallabak Nature Reserve in the interior of Iceland. This images is shot close by the Landmannahellir cave. At Landmannahellir there is a nice camping site and a site for house vans, camping wagons. There are possibilities to go trout angling in the neighbouring lakes. Posted on Tuesday, May 3rd, 2011 at 22:16. Filed under: Interior of Iceland, Locations	RSS 2.0 feed.